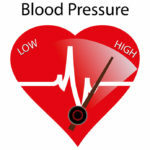 High blood pressure is also known as hypertension. It is defined as the pressure or force that is exerted against the artery walls. When your heart beats normally, it pumps blood through the arteries and into the body. There is a normal pressure that occurs to keep the blood pumping. 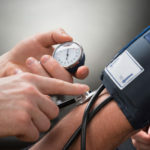 When there is high blood pressure, the force of your blood pushing against the walls of your blood vessels is consistently too high, and this can lead to severe medical issues. 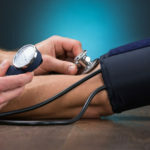 Knowing the top 10 risk factors for high blood pressure can help you to get to the root cause of your hypertension and allow you to begin to treat and heal blood pressure naturally. 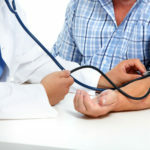 What Are the Top 10 Risk Factors for High Blood Pressure? The more you weigh, the greater the chances are that you will have high blood pressure. This is because increased body weight requires more blood and oxygen to be pumped to your tissues. This increased demand for nutrients results in a greater pressure on the artery walls. Physical inactivity is linked to higher heart rates. Higher heart rate means that the body must work harder to pump blood through the circulatory system. This puts pressure and strain on your artery walls. Additionally, lack of physical activity leads to weight gain (see #1), another risk factor for hypertension. Smoking and tobacco use raises blood pressure. Tobacco narrows or constricts your arteries, hardens and damages their walls, and leads to further blood pressure complications. Toxin exposures in your house, your products or your environment can also all contribute to hypertension. Toxins act as an irritant to your blood vessels and overtime can damage them, resulting in narrowed arteries and high blood pressure. Eating a diet consisting of processed foods that are high in sodium can increase the amount of sodium in your blood stream. This causes the kidneys to hold on to more water. The more fluid you have, the higher the blood pressure you have. The body retains water and there is excess strain that is put on the kidneys, which results in high blood pressure. Potassium helps to balance sodium levels. Low potassium levels are linked to high blood pressure. You need more potassium (think fresh fruits and vegetables) and less sodium (processed foods). Check out our list of top Paleo foods rich in potassium. Go to sleep with the sundown and awake with the sunrise. Poor sleep quality and duration leads to high blood pressure. Stress is linked to high blood pressure as it causes the blood vessels to constrict and pressure to build up within them. Chronic mental stress also stimulates a release of stress hormones that increase heart rate and further narrow blood vessels leading to high blood pressure. Try to manage stress to reduce blood pressure. 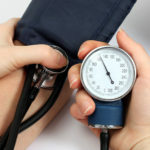 Blood pressure tends to increase with age. As you age, there are structural changes that occur within your arteries contributing to arterial stiffness. In elderly populations, you will see increased pulse pressure and increased systolic blood pressure. Overtime, excessive intakes of alcohol can damage and weaken the heart muscle. It can also contribute to weight gain. Both of these factors can cause high blood pressure to develop. Sleep apnea causes sudden drops in oxygen levels, which increases blood pressure and puts strain on the cardiovascular system. 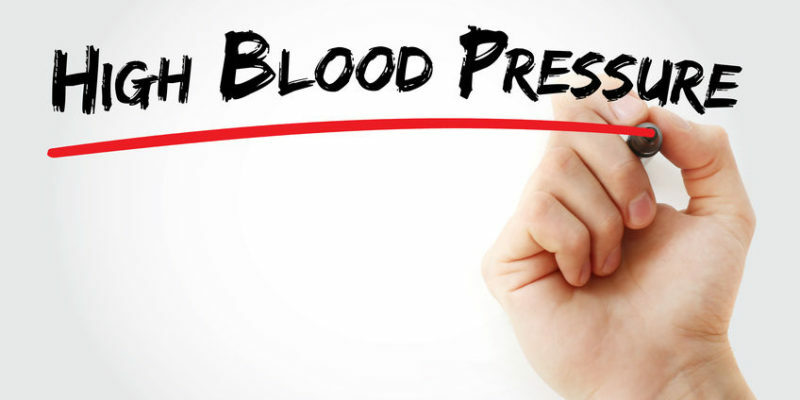 Obstructive sleep apnea has been shown to be associated with high blood pressure development. Low vitamin D is linked to high blood pressure. Get sunshine, get vitamin D, make nitric oxide, and normalize your blood pressure. We wrote a blog post about how to reverse high blood pressure naturally, without prescription medications or invasive procedures. Let’s get your blood pressure back to normal.